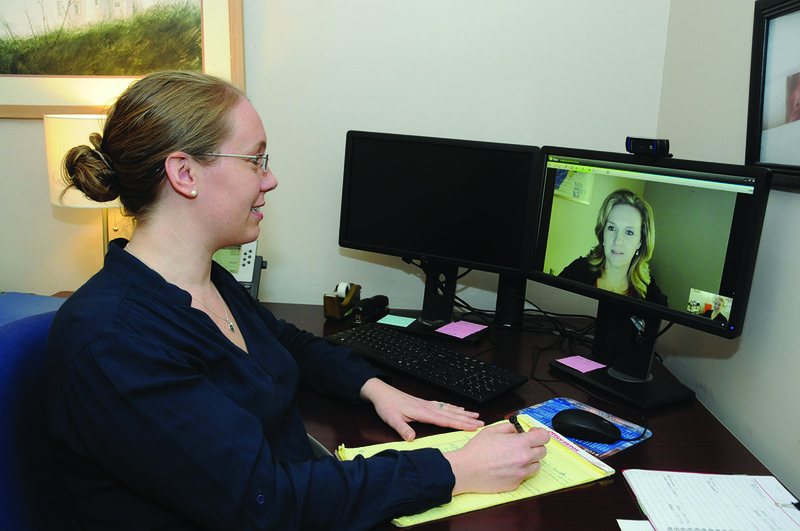 West Virginia University’s Telepsychiatry Program received a grant from the Health Resources and Services Administration (HRSA) which awarded a total of nearly $1.2 million over the course of four years to collaborate with rural school-based health centers focusing on pediatric mental and physical health care in Barbour, McDowell and Pocahontas counties and a community-based organization, Power House, in Wyoming county. “Given that many children in our state have limited access to resources such as child and adolescent psychiatrists or specialty pediatric care, we are thrilled to have an opportunity to partner with communities in the provision of timely care that is a vital component for successful outcomes,” said Kari-Beth Law, M.D., director of WVU Telepsychiatry. The project, entitled West Virginia Children’s Access Network (WVCAN), will focus on behavioral health, obesity, diabetes, asthma and oral health, utilizing the ability to screen, consult, treat and refer to psychiatric and pediatric specialists via teleconference with the WVU Telepsychiatry team. Currently, members of the WVU Telepsychiatry team provide quality behavioral and mental health services to thousands of residents in seventeen West Virginia counties utilizing the Mountaineer Doctor Television Network (MDTV). The secure, independent network provides telepsychiatry services, educational opportunities and administrative videoconferencing services using a private network with the most advanced security protocols. School-based health clinics are natural partners for telepsychiatry treatment, as they often serve as the hub of health care and social services for rural communities. The program aims to improve detection of students at high risk for behavioral and mental health problems and determine the prevalence of oral health issues, asthma, obesity and type 2 diabetes in students presenting for psychiatric consultation delivered by telemedicine. For news and information on the WVU School of Medicine, follow us on twitter @WVUMedSchool, like us on Facebook or visit medicine.hsc.wvu.edu.